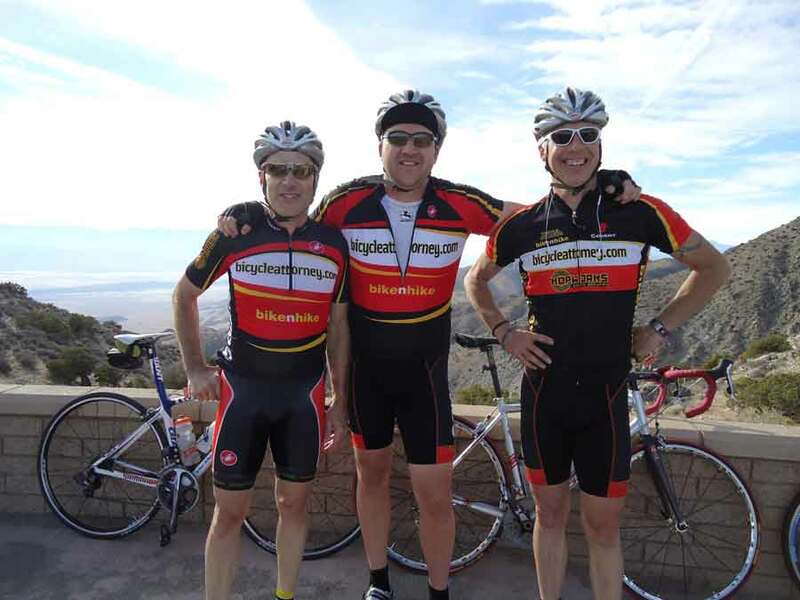 Portland bicycle racing team bicycleattorney.com tres amigos at Joshua Tree Winter Training - Kevin Chudy owner of Bike N Hike, Mike Colbach, and Danny Knudsen. 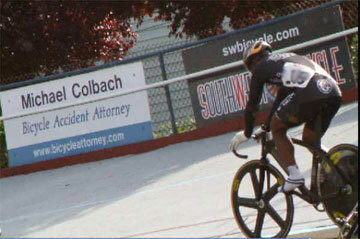 I represent injured bicyclists in my Oregon personal injury law practice. As a former bike racer myself, and currently a bicycle commuter, the bicycle accident cases that I handle are particularly meaningful to me. I am the host of Bicycleattorney.com (my website dedicated to Oregon bike law and cycling) and I am the main cash sponsor of the Portland cycling team Bicycleattorney.com/racing. 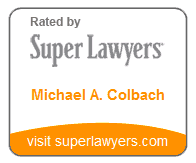 My goal is to give bicyclists everywhere the best legal representation possible. I network with many top USA bike attorneys who are also dedicated long time cyclists themselves throughout the USA such as Seattle bicycle accident attorney Bob Anderton of Washington Bike Law, Kurt Holzer in Boise, Idaho bicycle accident attorney, Gregory Hoole with a law office in Salt Lake City Utah bicycle wreck attorney, Robert Fader a New York bicycle accident attorney, and San Diego bicycle accident attorney Dean Goetz. 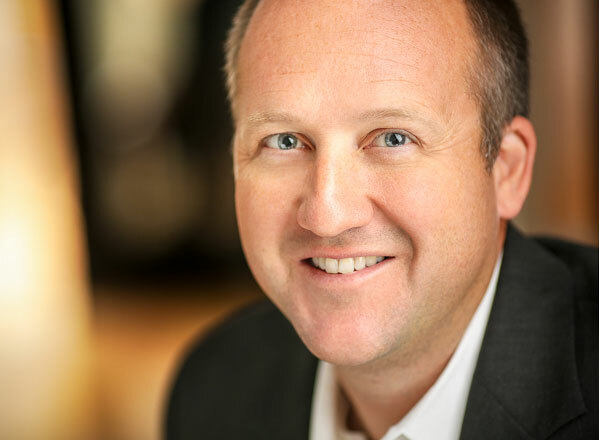 There are many excellent Colorado bicycle accident attorneys who are active cyclists and supporters of cycling and even sponsoring race teams. If you are looking for an experienced bicycle attorney in any other state, please contact me by phone or email me as I may be able to help find you an experienced and effective bicycle attorney at no cost to you. I am the main cash sponsor of the Bicycleattorney.com cycling team. You may notice on the BicycleAttorney.com Team Jersey the logos of Bike n' Hike - Giant and Hop Works who are also sponsors of this great team. The owner and operator of Bike n' Hike is Kevin Chudy. He is a personal friend of mine and an active Cat III and Masters racer. Kevin sponsored me when I used to race bikes. Hop Works is voted the 2008 Portland best brew pub and best pizza, they were also a supporter of Portland cycling, contributing sponsor of the Portland Cup US Gran Prix of Cyclocross event while it was held in Portland. Kevin retired a bit after this photo and trip. The Presto Velo BicycleAttorney.com Cycling Team has new sponsors, Western Bikeworks and Ecliptic Brewary, Portland coffee roasters Nossa Familia. Proud to be a contributing partner of the Monday Nights Bike Race Series at Portland International Raceway - racing starts mid April - check out their schedule and pics from last year. I support Alpenrose Velodrome. In some past years I have also supported the Alpenrose Velodrome Challenge. Proud to have been a contributing sponsor the Stanley Portland Cup USGP of Cyclocross in 2008 and 2009. Proud to have been a contributing sponsor of the USA Cycling Cyclo-cross National Championships to be held in Bend, Oregon, December 9 - 13, 2009, and again in Bend December 9 - 12, 2010. I supported former pro cyclist Evan Elken (visit Evan's Blog and seasonal race results on my Bicycle Attorney web site. Evan had quite a few great cycling accomplishments in his career. One of his recent accomplishments, 7th USCF Criterium Championships - August 19, 2007. 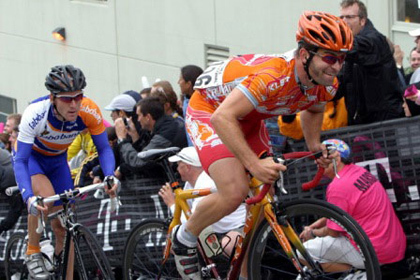 Evan was named Amateur of the year in 2004 by Velonews after an exciting year of races and placing 8th in the 2004 Olympic selection trials. Evan has had strong showings in Portland's Twilight Criterium race in downtown Portland and finished 5th in Pro 1/2 category August 2008. Evan has now turned his attention to coaching and training cyclists in the Portland metro area.